Staff from the New England Aquarium recently traveled to Belize as part of a long-term research program by Aquarium scientist Randi Rotjan, PhD, to monitor coral health near Carrie Bow Cay. Today's post comes from GOT diver Sean Marden. It is great to discover what you do not know. Working as a Giant Ocean Tank diver gives me plenty of practice identifying and counting all sorts of fish from small neon gobies up to large groupers. But I still get stumped occasionally while doing surveys in Belize. At times when I'm not sure of an ID I have to rely on my artistic abilities to capture any distinguishing characteristics so that I can later comb through guidebooks to determine the species. 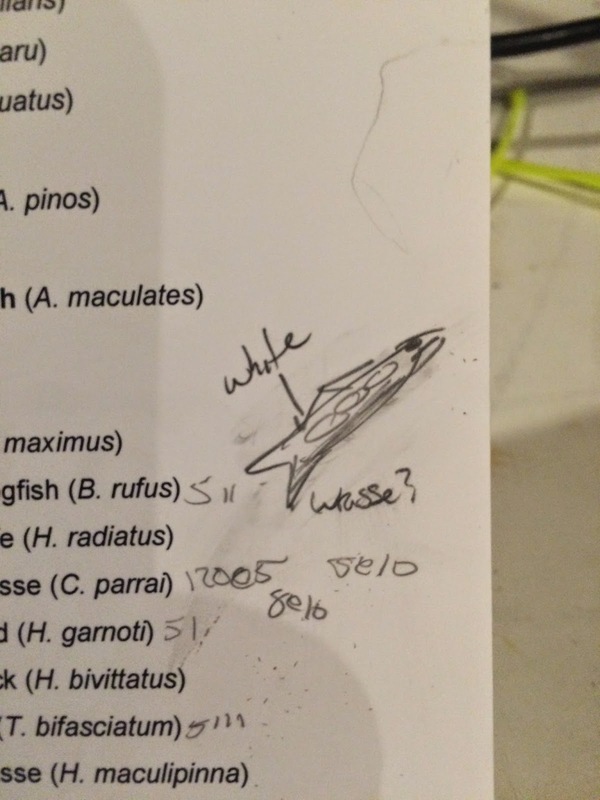 Here is a sketch I made of a fish I saw near one of our transects. While my artistic skills may be lacking I was able to record a few key characteristics that helped me identify the individual. I noted that the fish had very distinct white patches on its dorsal side, a darker color on its belly, and it had the shape and swimming pattern of a wrasse. When I returned to Carrie Bow after the day's dives I pulled out the collection of fish ID books on the island and got to work! The mystery fish resembled a juvenile puddingwife but lacked the full range of colors that I would have expected. We actually have a large "initial phase" puddingwife in the GOT. Although the mystery fish resembled a wrasse its coloration did not match any wrasse species in the ID books. I needed to broaden my search so I began looking at other groups of fish that are a similar size and shape. 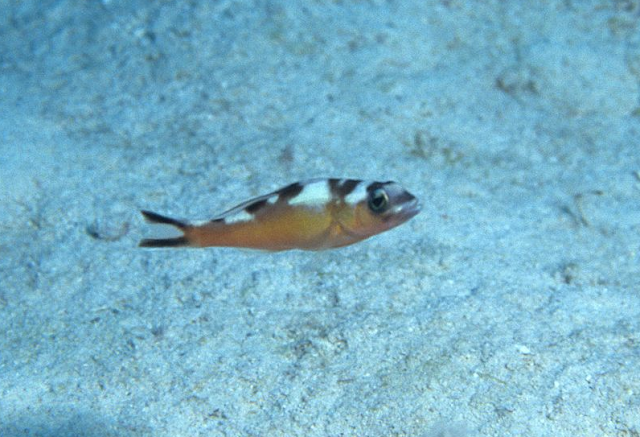 That is when I came across a photo of a serranid (group of fish that includes groupers and harlequin bass) and found a photo of a "tobaccofish." That was my guy! 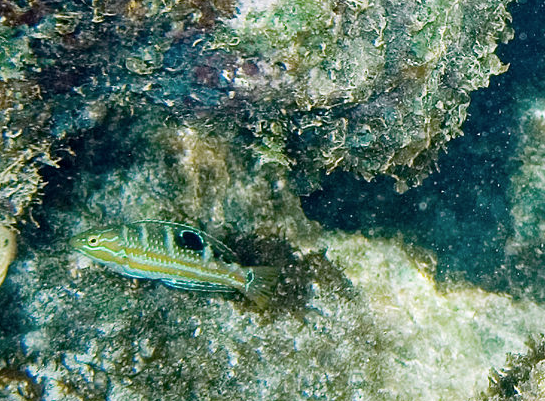 White splotches on the dorsal, darker belly, and size and shape of a wrasse. It is always an exciting day when you are able to identify a new species of your own. Identifying fish in the field is one of many invaluable skills that this Belize Expedition has helped me develop and improve—one that can help me with census and collecting trips for the Giant Ocean Tank.